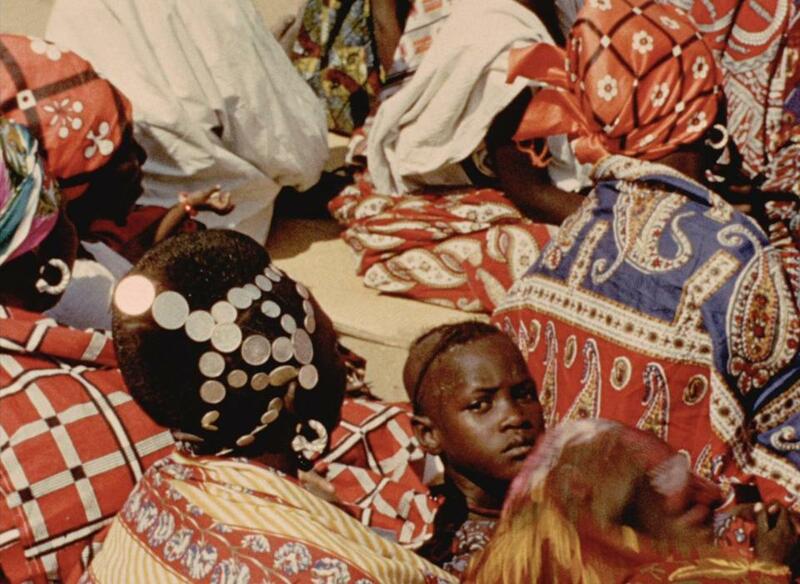 The roots of such disparate movements as cinéma vérité and the French New Wave can be traced back to the Ivory Coast, Niger, and Ghana. That’s where the French filmmaker Jean Rouch practiced his unique brand of documentary filmmaking from the 1940s until his death in an automobile accident in 2004. He was 86. Long-awaited by cinephiles, the box set “Eight Films by Jean Rouch” (DVD; $44.98), recently released by Icarus Films, compiles some of Rouch’s most seminal and groundbreaking work. It includes the controversial, sensational, and subversive short “The Mad Masters” (1955). In it, Rouch follows a group of Nigerian immigrants to Accra, Ghana (then the British colony of Gold Coast) from their onerous day jobs to a retreat in the jungle where they practice their Hauka religious rites. A new sect similar to a cargo cult, Hauka was developed as a response to the city’s modernity and to imitate and thus counter the rituals and power symbols of the reigning colonialists. Rouch takes up the plight of similar Nigerian immigrants, this time in the Ivory Coast, in “Moi, Un Noir” (1958). Lured from their tribal lands to the thriving metropolis of Abidjan by the promise of lucrative jobs, the young men instead find dreary day jobs laboring for bare subsistence. Rather than observe his subjects with the condescending detachment of an anthropologist, Rouch instead allows them to tell their own stories with themselves in heroic roles. To do so, like the subjects of “The Mad Masters,” they appropriate iconography from the West, in this case movie stars. Taking on names like Edward G. Robinson and Eddie Constantine, they narrate their lives of labor, ambition, despair, and hard partying as if they were Hollywood scenarios. Rouch examines another side of Abidjan society and different social problems with a similar method in “The Human Pyramid” (1961). In it, he poses a project to white colonial French students and their African classmates, asking them to make their own movie with fictionalized versions of themselves about their interracial relationships. The resulting film within the film also resembles that of another New Wave director — Eric Rohmer — in its tale of romantic complications and social conflict analyzed in depth with dense dialogue. It all ends in a melodramatic tragedy, but, as Rouch points out in his narration, the fiction’s true value is that it allows the subjects to confront their differences, acknowledge their similarities, and confirm their common humanity. Six decades later, it is a lesson that is still being learned.